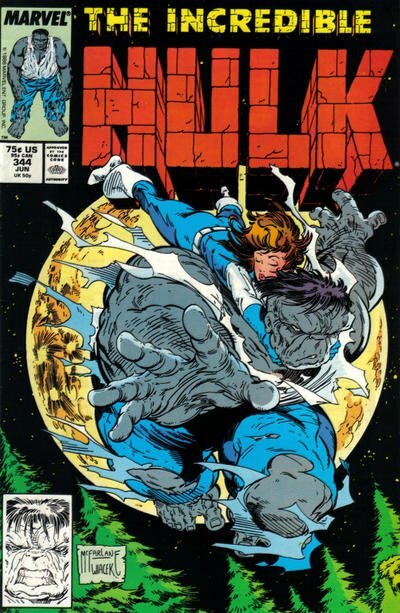 Click Here To See Incredible Hulk #344 Comic Book! 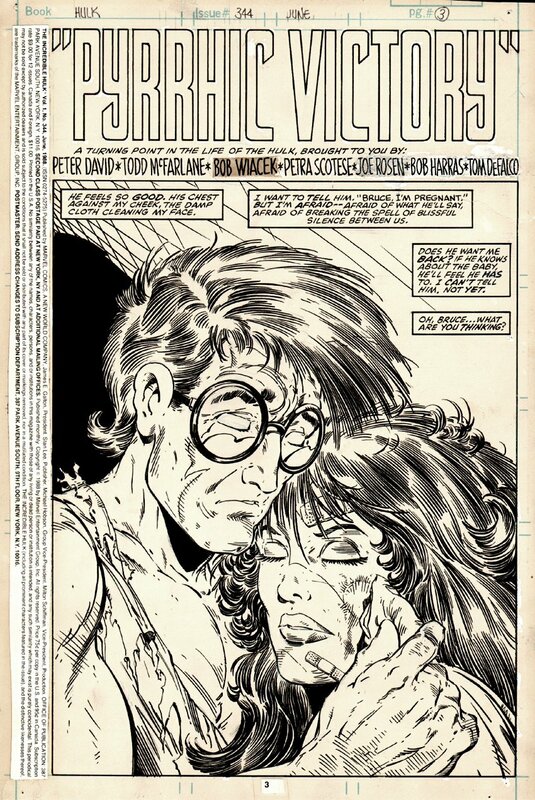 Check out this very nice Incredible Hulk SPLASH, which was penciled by the great Todd McFarlane, and inked by Bob Wiacek, from the story titled: "Pyrrhic Victory!" This nice SPLASH features VERY close-up images of Bruce Banner and Betty Ross...(They look so much like Peter Parker and Mary Jane Parker!) Just a great opportunity here to own a NICE Todd McFarlane INCREDIBLE HULK splash!